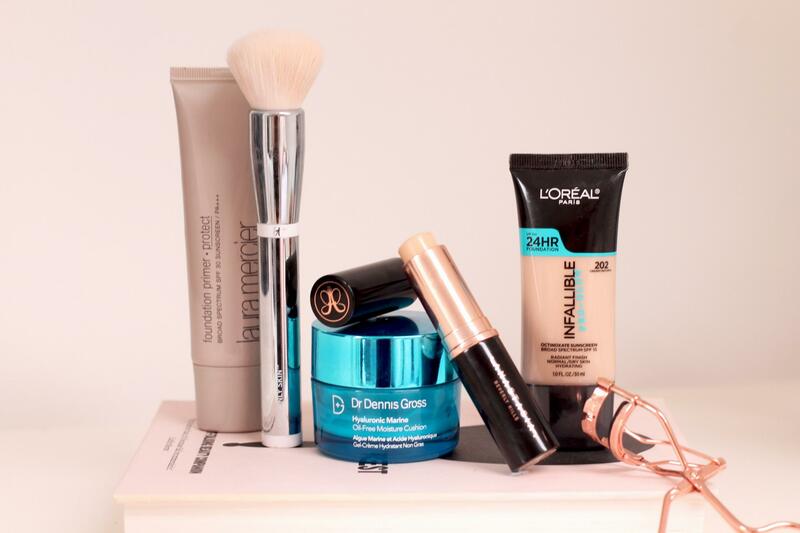 More often than not, I will spend most of my time in the morning trying to achieve a flawless, glowing base. I’d defiantly prefer to have a full face of base than eyeshadow if I don’t have time for a smokey eye. Recently I’ve been trying out numerous bottles of foundations, primers and illuminators to achieve a dewy summer glow. 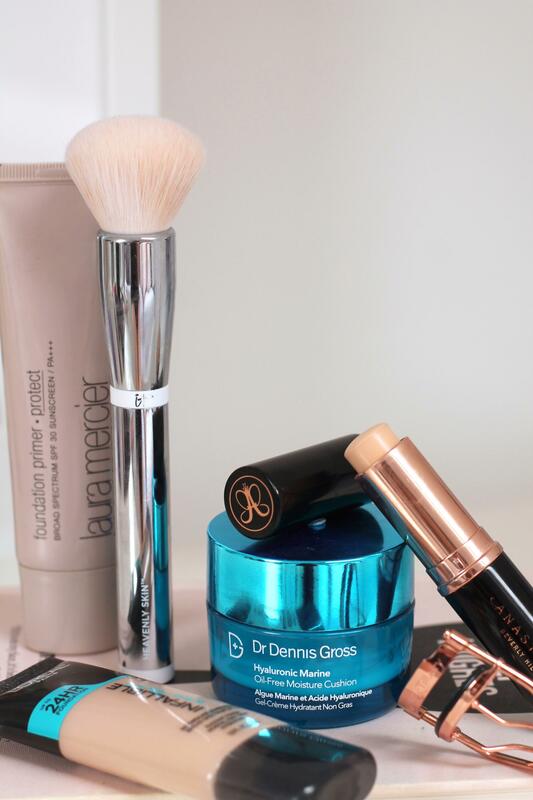 Here is my current round up of go-to glow giving flawless bases. Dr Dennis Gross // Hyaluronic Marine Oil-Free Moisture Cushion: This is a newish product for me but I am completely obsessed. It’s lightweight, ultra hydrating, packed full of wonderful ingredients such as; Hyaluronic Acid, Glycolic Acid, Marine Algae and Collagen. It’s the perfect makeup base, it has a gel-like formula which is my favourite kind. Laura Mercier // Foundation Primer Protect*: Especially around this time of year, SPF is really important and finding a product that will protect and prime in one is ideal. This multipurpose primer smooths the skin with added UVB/UVA protection. My fave primer for the summer time. IT Cosmetics // Heavenly Skin Brush: My favourite makeup and skincare brush. The hairs are infused with anti-aging collagen, silk, peptides, and antioxidants, it’s my go-to brush for a flawless base. *PR SAMPLE THIS PRODUCT WAS VERY KINDLY SENT TO ME BY AA SKINCARE FOR CONSIDERATION. TO VIEW MY FULL DISCLAIMER CLICK HERE.